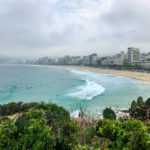 Uruguay is a country that’s creeping up lists on travel sites and blogs, and increasingly becoming a place to know when it comes to travel bucket lists. 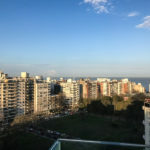 The late Anthony Bourdain had an episode in Uruguay, where he explained their new-ish government after years of hardship has led them to being a country with an outstanding voter turnout rate, a whopping 96%. They are pretty liberal, with gay marriage legalized and they are the only country to have marijuana legalized at the federal level. Overall, it’s a pretty intriguing country. 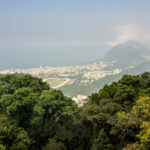 So when we planned to visit Argentina and Brazil, we figured, why not stop over at this little country in between and see what all the hype is about? We headed to the capital city, Montevideo, by ferry, and spent 3 days and nights exploring the city. We arrived in their springtime, a cool 65 degrees most of the day, but climbing to 70s at peak sunshine. 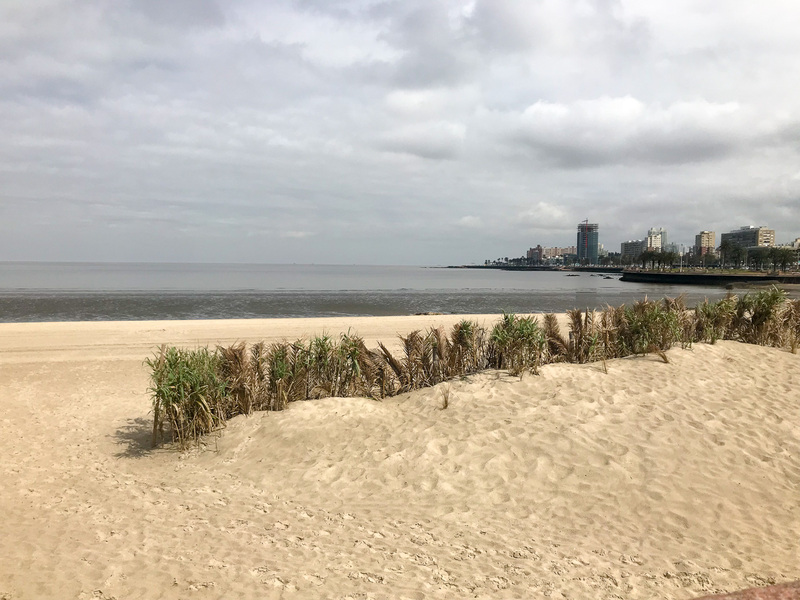 Montevideo is on the water, but it’s not beachy – the city sits where the river meets the ocean, so the water is not quite as blue or the sand as white as what you’d find further east in Punta Del Este. Our hotel was Hotel Vivaldi, on the short list of four star hotels in the area. 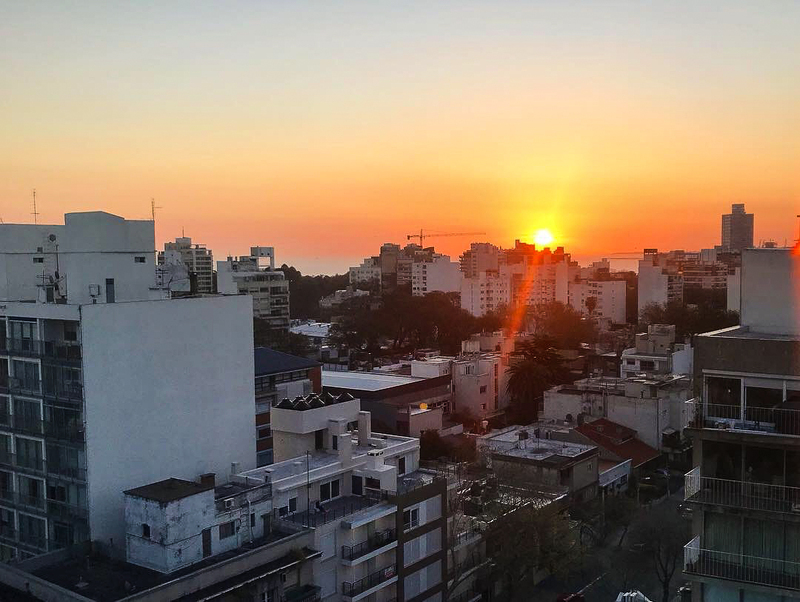 It was modern, clean, and had a free breakfast buffet, as well as a rooftop pool (which was too cold to swim in, but great for watching sunsets). 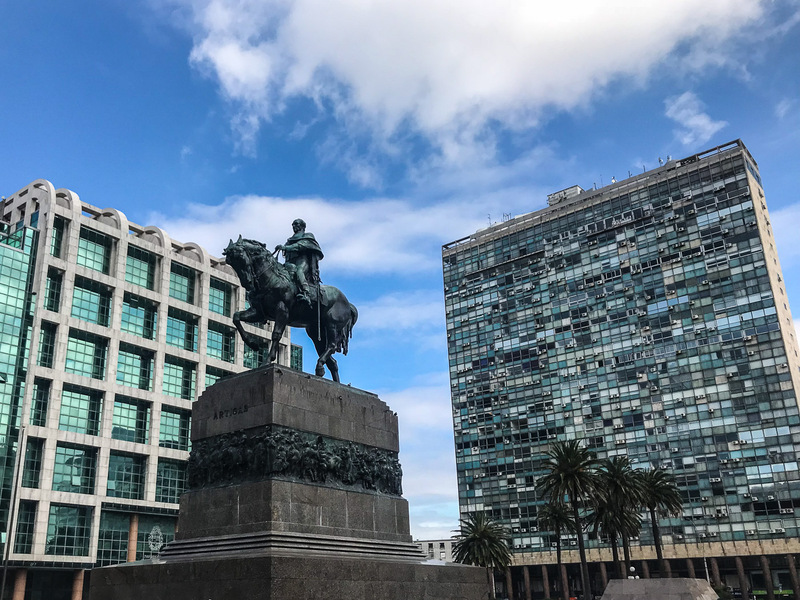 Ciudad Vieja – Walking around this historic neighborhood is a necessity. 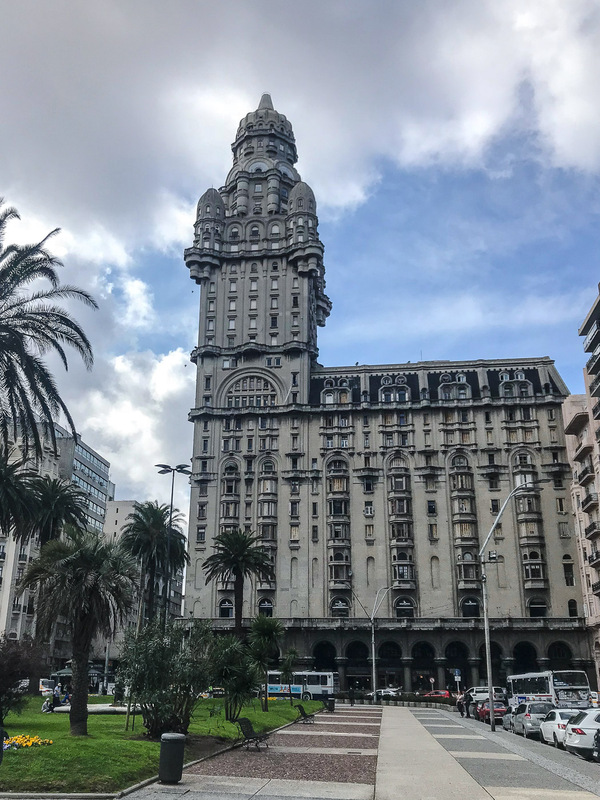 The architecture of the cathedral and the theater are both stunning and the cobblsetone walkways will make you feel like you’re in Europe. 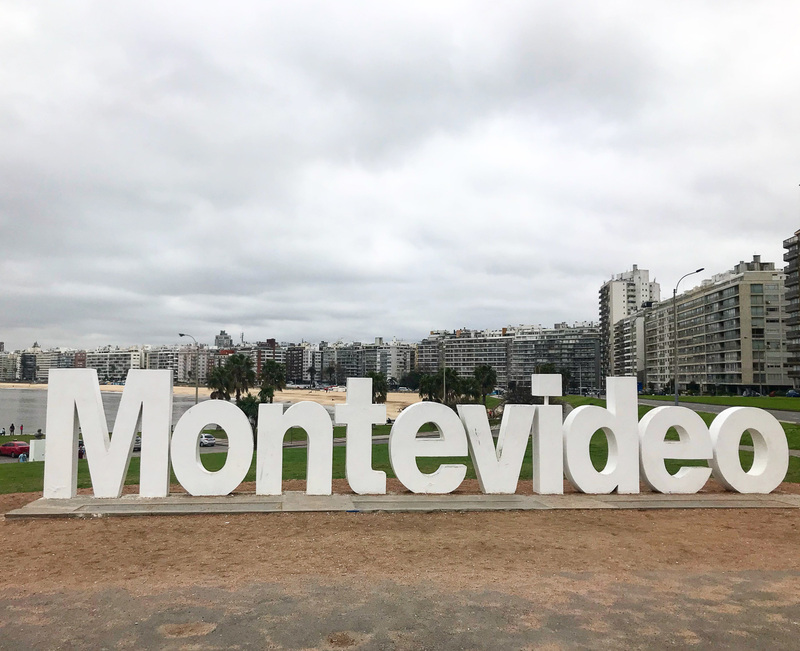 Montevideo Sign – This Hollywood-esque since in Pocitos is the obligatory tourist picture stop. Take pics sitting on the sign with the beach in the background. 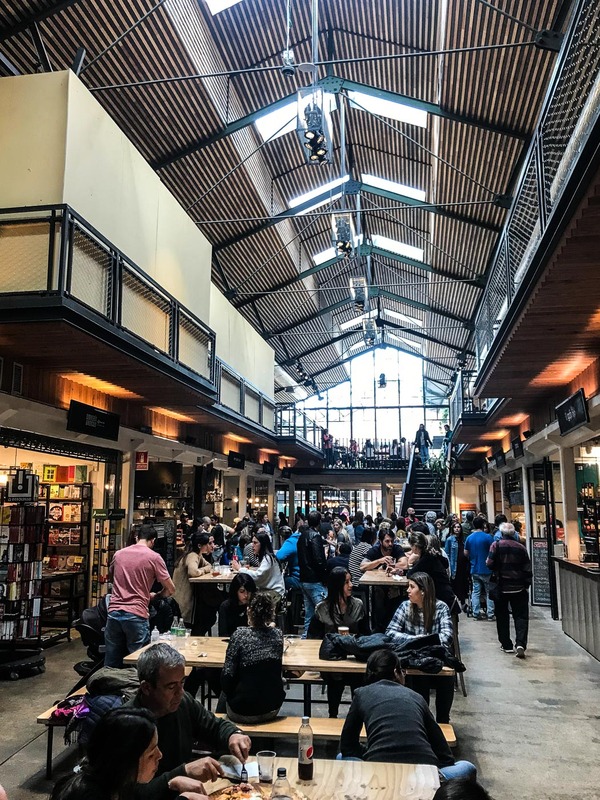 Mercado del Puerto – This indoor-outdoor market in Ciudad Vieja has plenty of restaurants as well as souvenir shops. 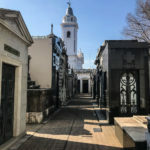 A great tourist-friendly stop. Sinergia Design – A bit less touristy is this former glass factory which is now an artist’s hall with plenty of vendors. Open Thursday-Sunday they also host many cultural events. 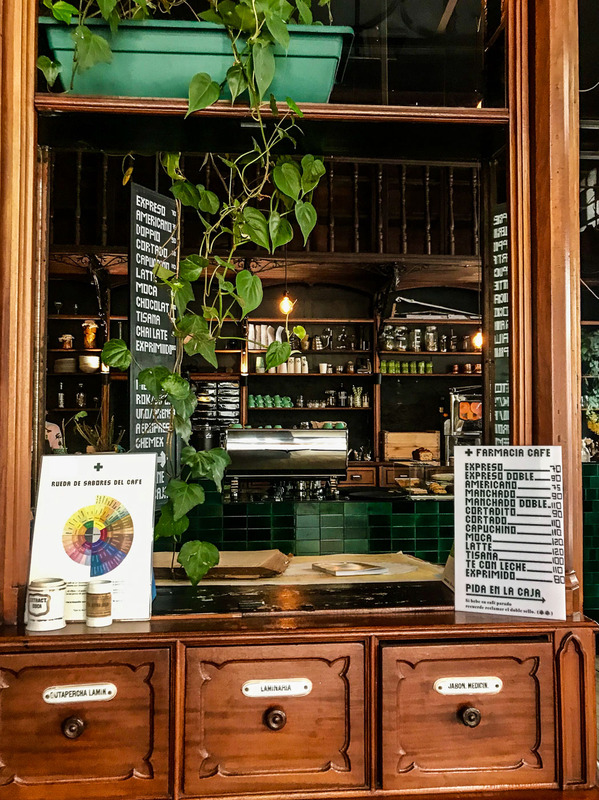 La Farmacia – One of my favorite stops was this pharmacy-turned-coffee shop. The vintage pharmacy elements are still in this café making it super Instagram-worthy. And of course, the coffee is good too! Escaramuza – This was a Bourdain find – a café inside of a bookstore with an outdoor garden. The building as well as the food are fantastic. Great for lunch. 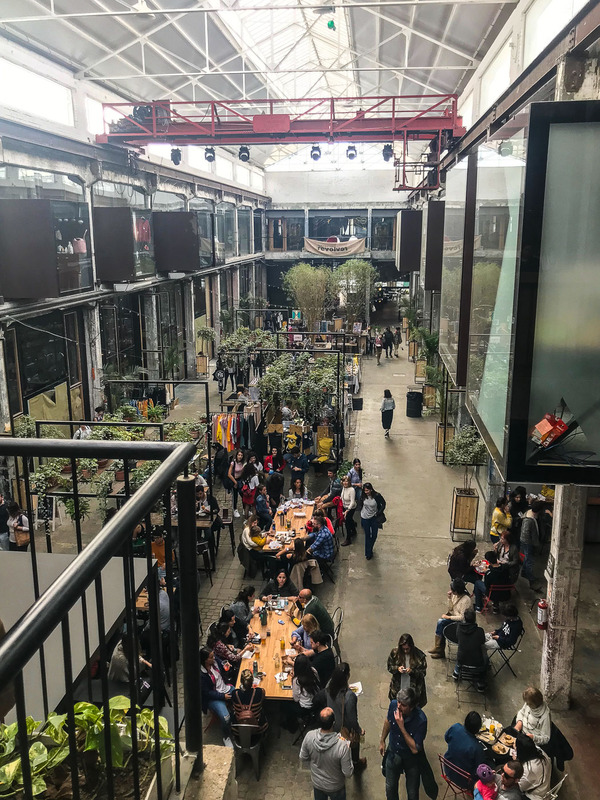 Mercado Ferrando – This food hall is a millenial’s dream. Plenty of delicious food vendors as well as a bar makes it a great stop for a drink and a bite to eat. 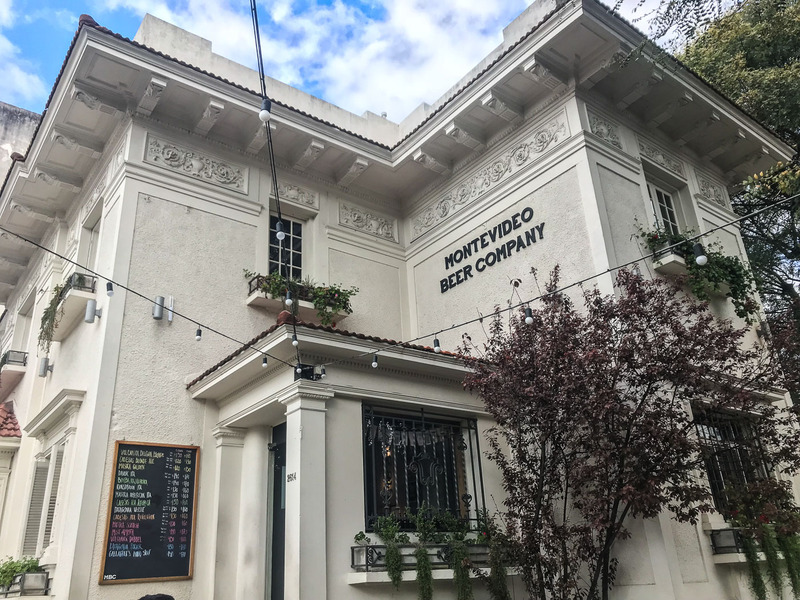 Montevideo Beer Company – This brewery and beer garden is a great stop for a drink (or for lunch) at the outdoor picnic tables. 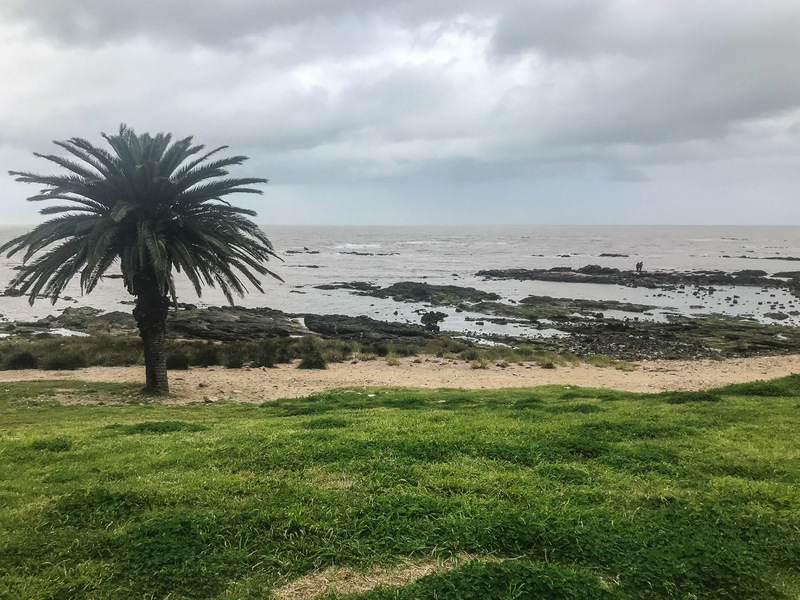 If I were to go back I’d love to explore the cities of Colonia or Punta del Este – great stops that should be explored if you have the time on your itinerary! 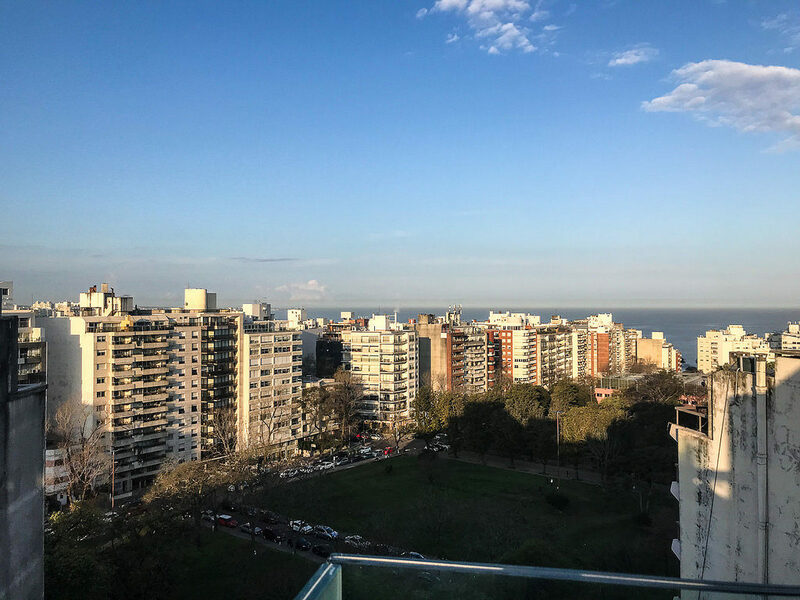 For more information on Montevideo, check out our map and Uruguay travel guide.